In the onslaught of news about the 2016 presidential election, it’s easy to feel powerless amid so much disagreement over the complex problems facing a country of 318 million people. Multiply that feeling by about a million if you’re a young person witnessing the first election you’re old enough to understand. But Mary Hendra, associate program director for Facing History and Ourselves in Los Angeles, says that for educators, the election is an opportunity to remind young people that change doesn’t happen only in a voting booth. It can happen in one’s neighborhood or school, or when young people become what Hendra calls “upstanders”—those who speak on behalf of others and stand up to injustices small or large. Educator Innovator partner Facing History and Ourselves is an educational nonprofit whose mission is to help teachers use history to combat racism, anti-Semitism, and bigotry. Its headquarters are in Massachusetts, though it has 10 offices around the country that partner with local schools. Upstanders can be found throughout history and the concept is central to Facing History’s work and mission. The notion of upstanders is woven through much of Facing History’s work and curriculum. And last August Hendra and Facing History hosted four webinars at Connected Learning TV to help teachers inspire upstanders in their own classrooms. Though the webinars varied in topics, they had a shared goal of helping students understand how their own decisions and actions can make a difference in the world around them. Members of the LGBTQIA+ Club at the Humanitas Academy of Art and Technology in Los Angeles won an Upstander award for organizing a day of silence to protest homophobia. Another webinar focused on teaching the novel “To Kill a Mockingbird” as a way to understand the intersection of race, class, and gender today. Steven Becton, associate program director for urban education at Facing History and Ourselves, has worked with educators for many years in Memphis, Tennessee. He stressed the importance of bringing students safely in and out of conversations about race in the classroom, which can be complex and sensitive, and said To Kill a Mockingbird is a great tool because it brings with it some identity and historical distance, and its narration is the voice of a child. The webinars helped teachers think about how to foster tolerance and be agents of change—something many students in Los Angeles are already doing. 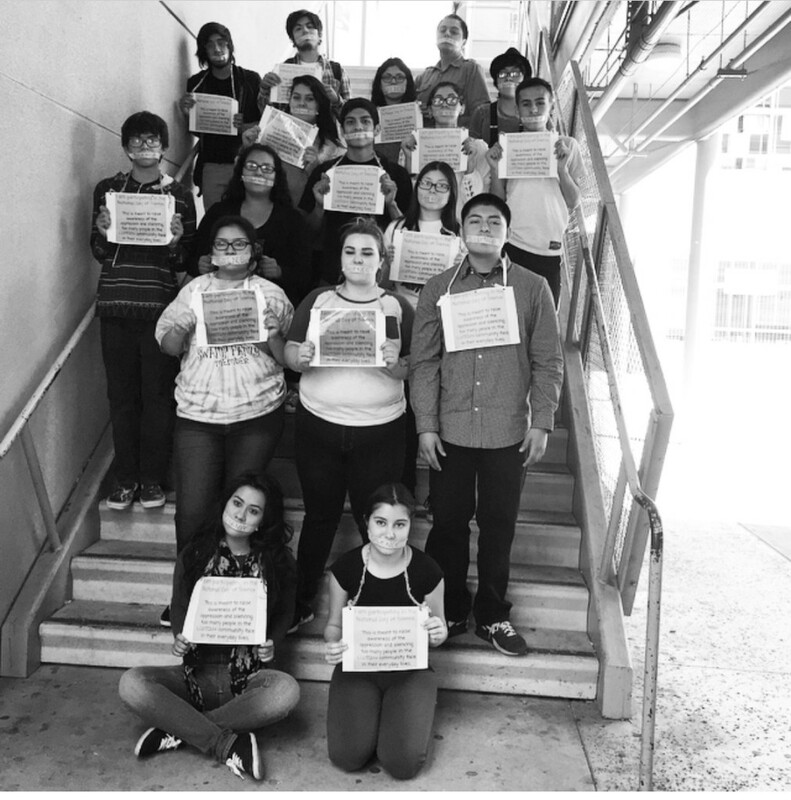 Last spring, Facing History and Ourselves wanted to recognize such students and started an annual Upstanders Award in Los Angeles. The nine winning students and student groups included a team that planted a community garden and a young woman who organized a student walkout against police brutality. But Rosemary Tecun, a 10th grader at Social Justice Humanitas Academy in Los Angeles, was nominated for aiding others in a manner so obvious it is usually overlooked. Tecun started helping struggling students in her classes keep track of their assignments. “She started really looking out for students who were struggling academically,” Hendra said, adding that Tecun would go along with fellow classmates to visit teachers for extra help and follow up about certain projects. Hendra said that was exactly the kind of upstanding the Facing History curriculum is working to cultivate in students—to see themselves as members of a community who are responsible for each other in a myriad of ways. Top Photo/ Graduating seniors at the Academy of Medical Arts at Carson High School in Los Angeles organize a school-wide event to mentor and support underclassmen.